Hi everyone! I’m Chanda, and I’m a physical therapist working in the school system. I’m really excited to share about posture in the classroom today. Posture isn’t just about reminding the kiddos to sit up straight, so I hope you find the information helpful! Posture in the classroom promotes concentration and learning. Good posture allows the child to concentrate on the task at hand instead of focusing on how they are sitting. However, it’s hard to maintain a good posture for a long duration of time. No one can just do this. Check your posture right now: How are you sitting? Are you slouched over or tapping your leg? I know I catch myself all the time with poor posture or fidgeting if I sit for too long. There are several different factors that can play into posture, including strength and body awareness, if the desk or chair does not fit the student, or if the students need a movement break. The good news is that there are several different options to help promote good posture for learning. We want our students to be able to sit comfortably. This means that we don’t want feet dangling or arms propped way up on the desk. We want children to be able to sit with their feet on the floor and their arms comfortably resting on the desk without having to lean over or reach up. If you have access to adjustable desks, you are in luck, as desks can be moved to fit each individual student’s needs. In the real world, not all desks are adjustable, so simple solutions can help that. Adding books or a step under a child’s feet so they don’t dangle or finding a chair that sits higher are simple solutions to some positioning problems. If you are adding supports under the feet, be sure that the students’ knees aren’t above 90 degrees for optimal alignment. It would be good to check this a few times a year as students grow and change. Using alternative seating positions such as sitting on a ball chair, air disc, or stability ball can encourage core strength while allowing the student to move. Movement is essential to promoting good posture in the classroom. 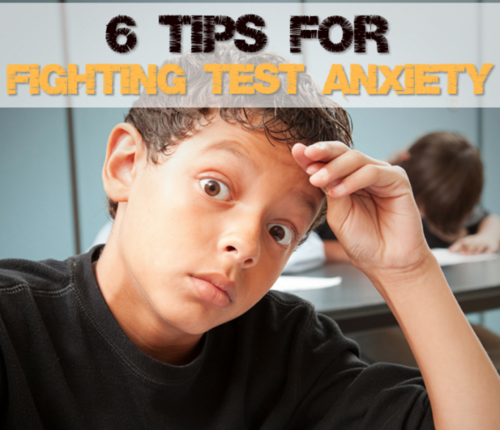 Fidgeting and moving around in the chair results in students losing good posture. It’s also hard to focus when you are slumped over or fidgeting. Fidgeting is often times a sign of the need to move. Instead of asking our kiddos to sit still when they start fidgeting, we should be getting them up and having them move. I love this post by a pediatric occupational therapist that gives an explanation on why children fidget. 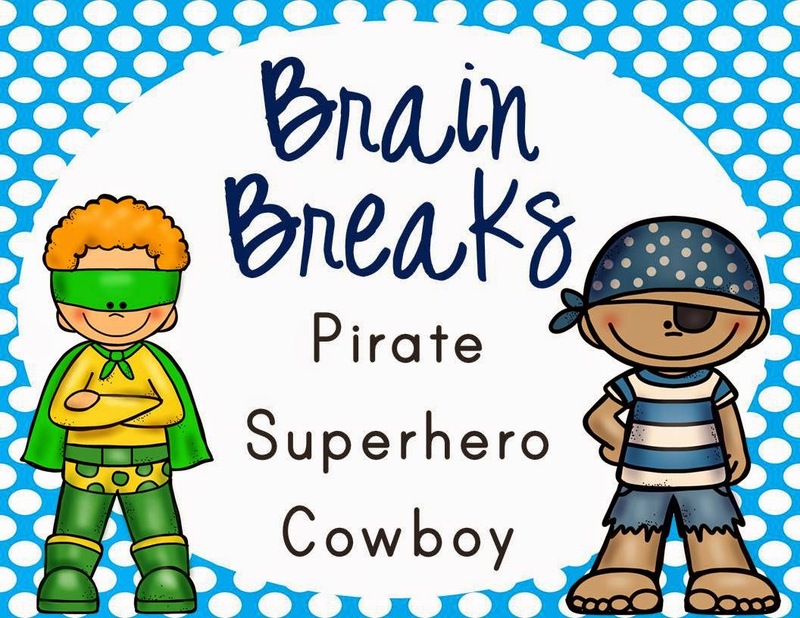 When we see the kiddos fidgeting, incorporating brain breaks is a great way to allow them to get the movement they need so they can focus on learning again. Along with posture, another benefit of getting the kids moving is it enhances learning. A review of 44 studies resulted in a significant positive relationship between cognitive functioning and physical activity. Some teachers have opted for alternative seating positions. Alternative positions may include a student sitting on a ball chair, a stability ball, or an air cushion. These devices allow the children to have a little bit of the movement that they need to keep them in better posture for learning. Sitting on these alternative options also engages the core muscles, allowing for improved core strength. Making sure that students have ample opportunities to move throughout the day is essential to good posture for learning. 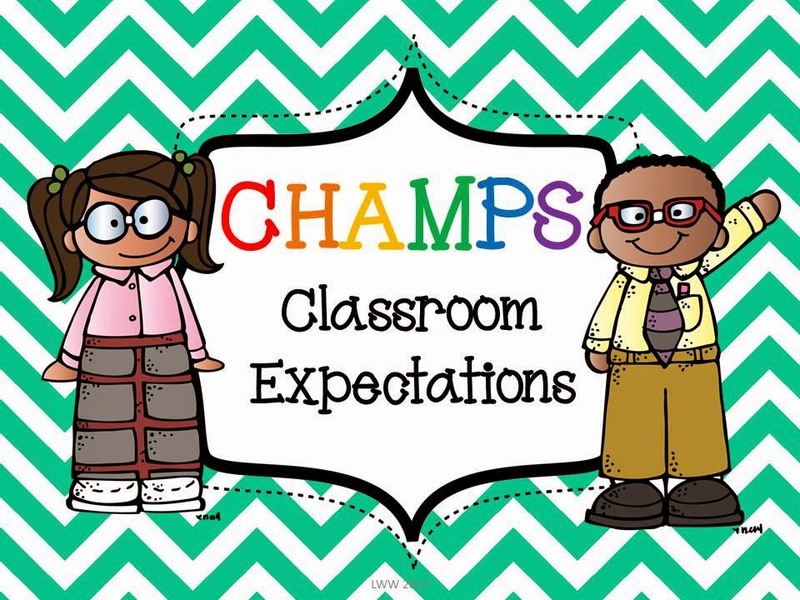 This may mean having a morning meeting in one area of the room, allowing students to work in groups in another area, and instruction in another area. This is a perfect way to incorporate movement in everyday routines. You may include a simple brain break, as well, for the needed position change. Some schools are using stand-up work stations. I love how the children have the opportunities to find what posture allows them to learn. Whether it may be sitting or standing throughout their school day, they allow the students to move, yet they are able to focus on their school work. A great thing about the stand-up workstations is that they were invented by a teacher! 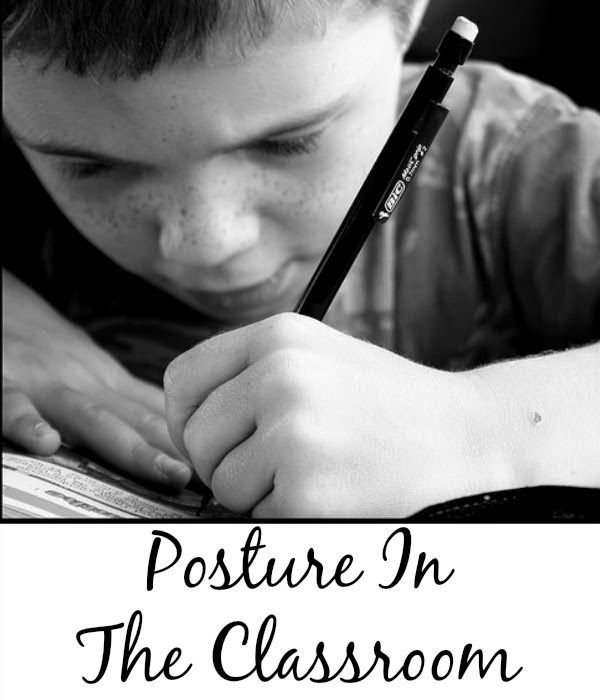 Posture in the classroom isn’t just about sitting up and reminding students to sit up. It’s remembering that we can’t expect our students to sit for long periods of time and maintain good posture and focus. Keeping kids moving is a very important part of good posture in the classroom so students are successful learners. Chanda has been a physical therapist for the past 6 years. She is in her 5th year working in the public school system in pediatrics and still. 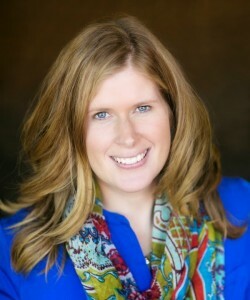 She blogs over at Pink Oatmeal about motor development, ways to get kids moving at home and in school, and her life as a mom and pediatric physical therapist. Her Teachers Pay Teachers store, Pink Oatmeal – Movement For The Classroom, focuses on getting kids moving in the classroom with a variety of brain breaks and different ways to incorporate movement into the day to making learning fun and active! She loves shopping, blogging, redoing rooms in her home (over and over), and trying to make her garden grow. "This may mean having a morning meeting in one area of the room, allowing students to work in groups in another area, and instruction in another area." – I sure wish the architects would take this into consideration. My room is pretty much wall to wall desks. I can barely fit a tiny group table. Hi Chanda — I'm a media specialist who teaches K-6 in the library. We have large wooden chairs at tables and at computers. The little ones sit at each for no more than 20 min. per visit. My struggle has been to get them to sit on their bottoms at the tables so they don't tip their chairs or put their feet through the back when they sit on their knees, which occasionally they do. Since i can't change the furniture, what's your recommendation for the best way to sit.? Hi – I am a PT in a school and have some students who frequently sit w/ a significant posterior pelvic tilt. Besides alternate seating (like using a wedge), what are some exercises I can have them do to work on their pelvic muscles. (They are ~5 to 6 years old). Thanks for any suggestions!